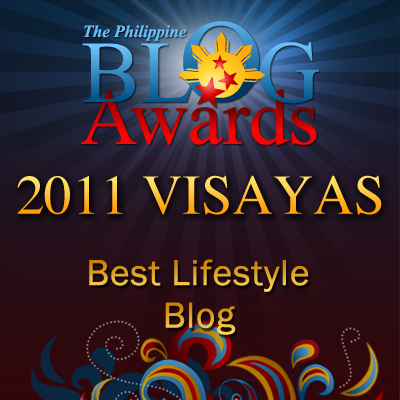 Random Thoughts of Gil Camporazo: De Bono's Six Thinking Hats - Effective? 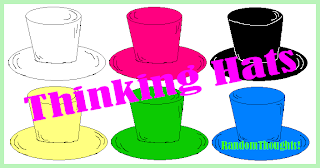 De Bono's Six Thinking Hats - Effective? In making a decision for our forthcoming Christmas activity, we adapted Edward de Bono's six thinking hats technique. Some of us as school administrators heard this technique for the first time. Nevertheless, they worked effectively in coming up with a common decision. Portia M. Mallorca, OIC-schools division superintendent employed this technique which we found interesting. 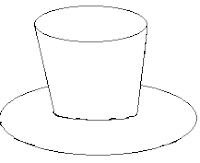 We were curious about these "thinking hats" especially on they are used in a particular situation which requires a solution or a decision to make. By applying De Bono's STH principle, we learned it that it was effective though we were amused of such color coding. Anyway we unanimously agreed or came up with a consensus for what to do for the preparation of our DepEd night in December 22. Every possible problem then was ironed out. This had been transpired in our recent 8th management committee meeting (MANCOM) at RSB Elementary School, Division of La Carlota City. Administrative matters regarding the academic performance of our pupils in the 2nd Division Unified Test were discussed and the evaluation of the conduct of DUT was also gone over. The last agenda in this meeting was the preparation for the forthcoming Department of Education (DepEd) night in December 22. This is a tradition in the city of La Carlota that the DepEd is given a night for their Christmas presentation to entertain the people at the public plaza. Discussions and deliberations on the creation of different committees to take charge of registration, foods, program, prizes, sound and seating arrangement, among others were done in order. The decisions and agreement were made by applying EDB STH technique. OIC-SDS Mallorca, as presiding officer solicited the consensus of the body on what to do during the DepEd night. She used Edward de Bono's STH method to iron out possible problems based on the suggestions, ideas and recommendations of those 24 elementary and secondary schools concerned. These 6 thinking hats have a corresponding color like white, red, black, yellow, green, and blue with a respective role in coming up with a decision. 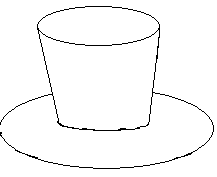 If white hat is selected, it means that the person is using it is focusing himself on the available information. He relies his decision the facts presented. White means neutrality. 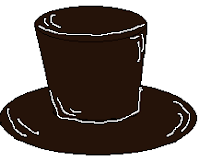 If red, the person who wears this hat is basing his decision on his emotions, feelings, intuition, and hunches. He presents his views without explanation. Red means fire and warmth. If black is selected, the wearer sees things in a logical negative point of view. Black means judgmental, critical. 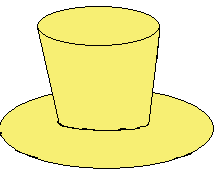 If yellow is chosen, the person who wears this hat is hopeful. He looks at things in their logical positive point of view. Yellow means sunshine to also mean optimism. If it is green, the person selected that color is full of new ideas and he is creative. Green means vegetation and freshness. And if color blue is selected which is cool and it is usually referred to sky, the hat wearer makes a decision well for he has a control of process. He does it step by step. Therefore, we found this technique very informative and interesting and even workable in getting a unanimous decision for a certain project, activity. Everybody showed curiosity to De Bono's six thinking hats technique. What an interesting technique! This piqued my curiosity, too. Thank you for sharing! Like the meaning of each color, from time to time I wear those hat colors. Wish I could avoid being Black. I would try the Thinking Hat Technique when I need group inputs in making a decision.